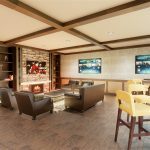 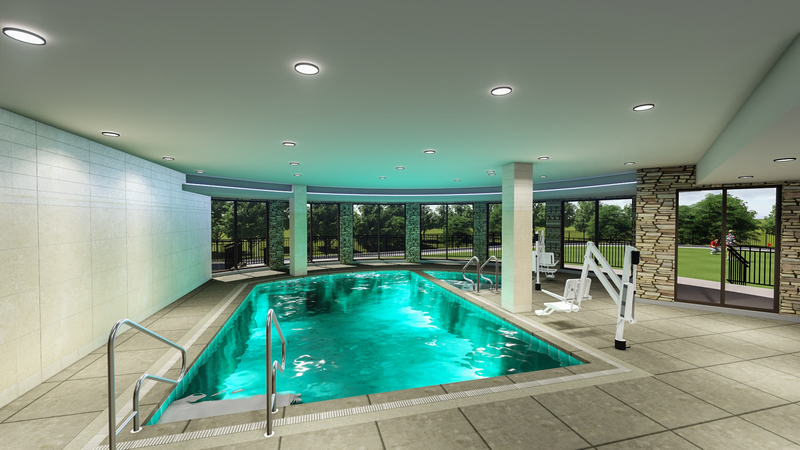 This Boutique Retirement Community will provide residents with many popular and luxurious amenities. 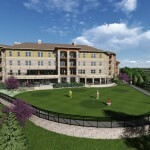 The site is located on a prestigious null, offering spectacular views of the Ironhorse Golf Course. 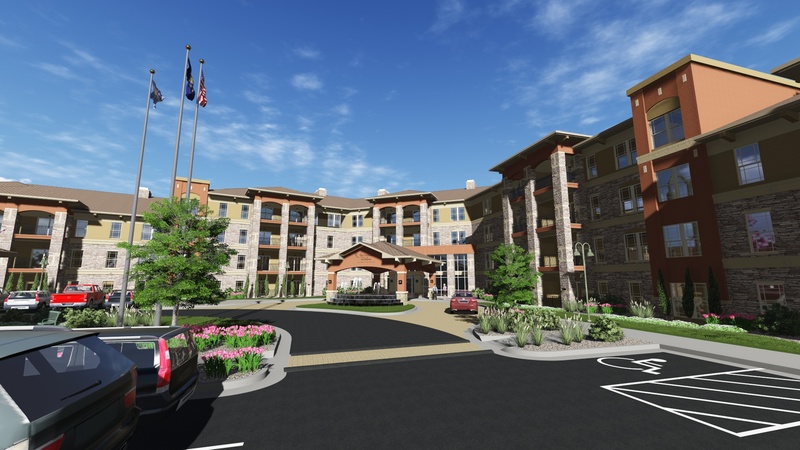 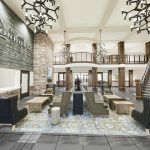 Upon entering the site, residents and visitors will be surrounded with lush landscaping, fountains and park like settings, including walking paths, shelters, a putting green, and several outdoor seating areas and decks. 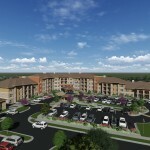 Each resident will have secure and enclosed parking located under the building and complex. 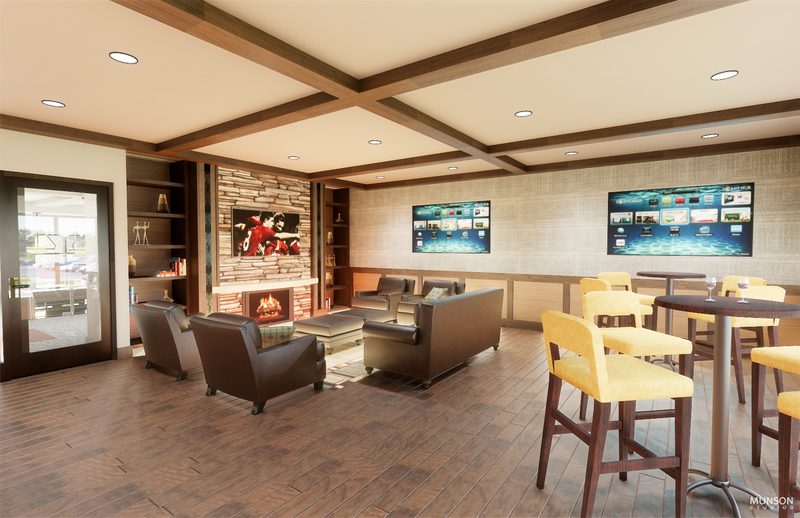 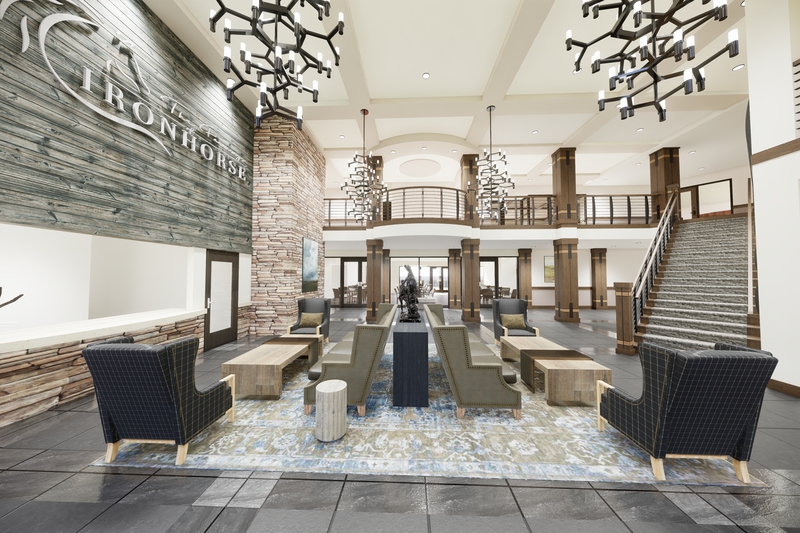 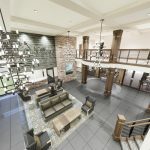 Indoor amenities will include: a spacious lobby and gathering area, coffee areas and lounge, general dining and private dining for family gatherings. 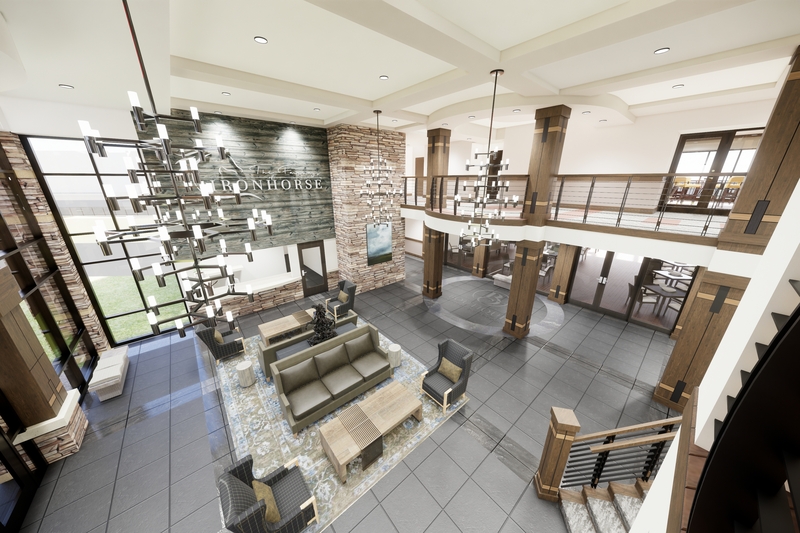 Additional indoor activity areas and spaces will include: a climate controlled indoor pool and spa, arts and crafts, movie theater and lounge, chapel and meeting area. 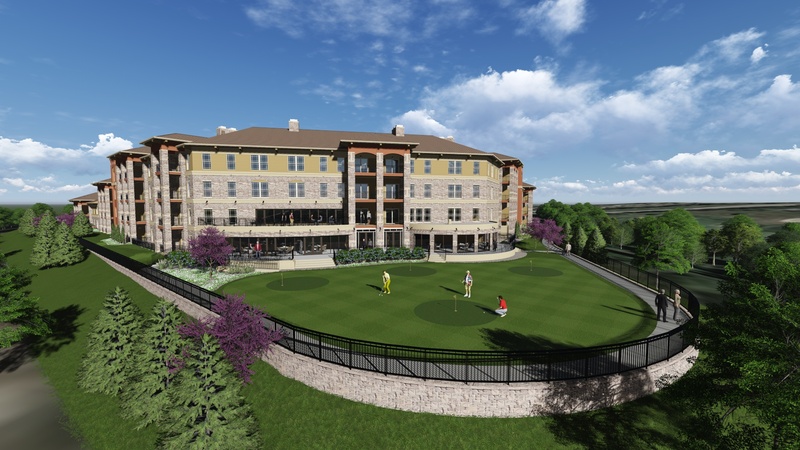 The building is 2-4 stories, stepped to reduce the building mass, integrating it into its surroundings while offering 60% of the units direct views of the Ironhorse Golf Course. 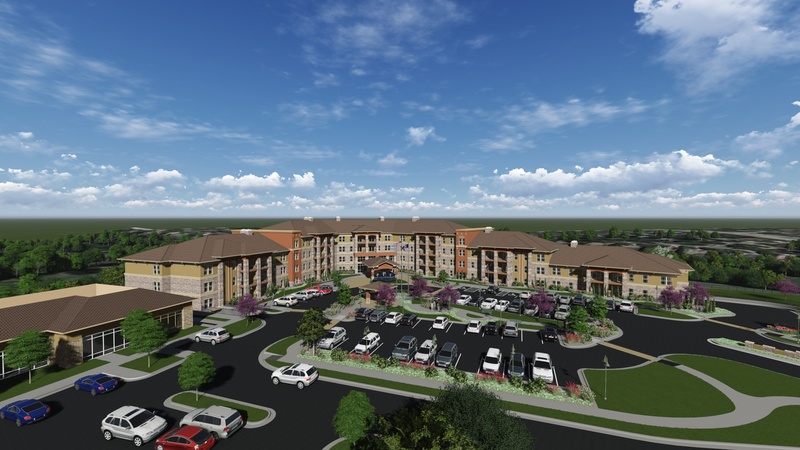 The 147,000 sf facility offers 74 - 1 & 2 bedroom units. 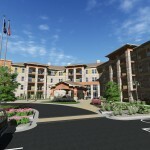 Each unit has a private porch or balcony, with kitchen and laundry.